In this top image many of the RBC's are small and have increased central pallor, consistent with hypochromic microcytic anemia. The most common cause is iron deficiency. 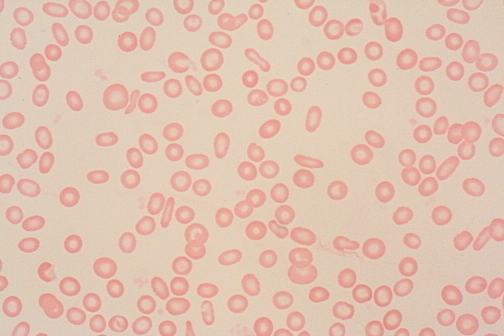 In the middle image many of the RBC's are large and lack central pallor, consistent with macro-ovalocytes. The most common cause is megaloblastic anemia, from vitamin B12 or folate deficiency. 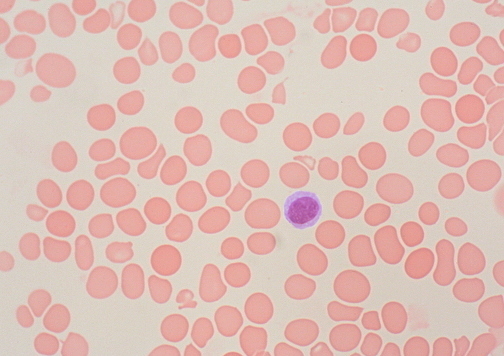 In the bottom image many of the RBC's are small and lack central pallor, consistent with spherocytes lacking central pallor. 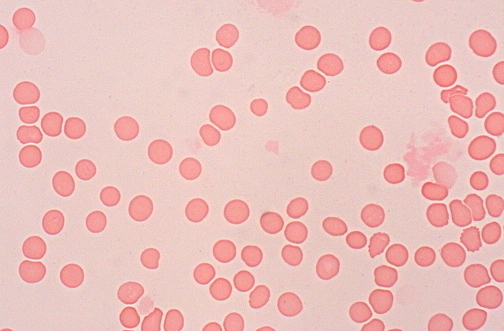 Hereditary spherocytosis can be accompanied by anemia, splenomegaly, and jaundice. Immune extravascular hemolysis may lead to spherocytes when portions of the RBC membrane coated with antibody are excised in the spleen.